All of our relationships require work. Married and unmarried couples face a great many challenges over the course of a relationship, many of them rooted in everyday stressors and communication. When left unaddressed, even the smallest tensions can mount, threatening the health and longevity of a partnership. Fortunately, there are several options for improving intimate relationships. Some people seek couples counseling, which can be highly effective in improving empathy, loving feelings, and communication skills. Individual counseling may help those struggling with their own personal issues that could be affecting the relationship. Additionally, family therapy may be ideal for couples whose children are affected by disharmony in the home. As part of relationship counseling, a counselor can facilitate communication so the needs and concerns of each partner are heard. A relationship counselor will not “take sides,” but will instead foster a supportive environment in which the therapeutic process can progress naturally. There is no set time frame in which a relationship can be transformed. The strengthening and positive changes in a relationship will occur at their own pace, in part affected by the willingness of each partner to commit to the process. With the services of a trained therapist, partners can gain the ability to offer more support to one another, to listen respectfully to thoughts, needs, and emotions, and to communicate lovingly and effectively. 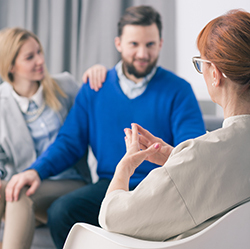 At Counseling Associates, we welcome couples who are stressed, dissatisfied, and frustrated. We also counsel couples who want to strengthen their communication skills or work together to get through a difficult life transition. 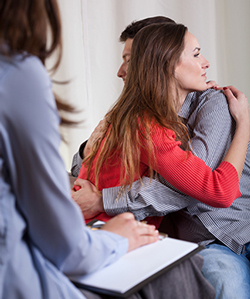 Counseling Associates has helped many couples from West Bloomfield and the metro Detroit area. Please call us at to learn more about our services.